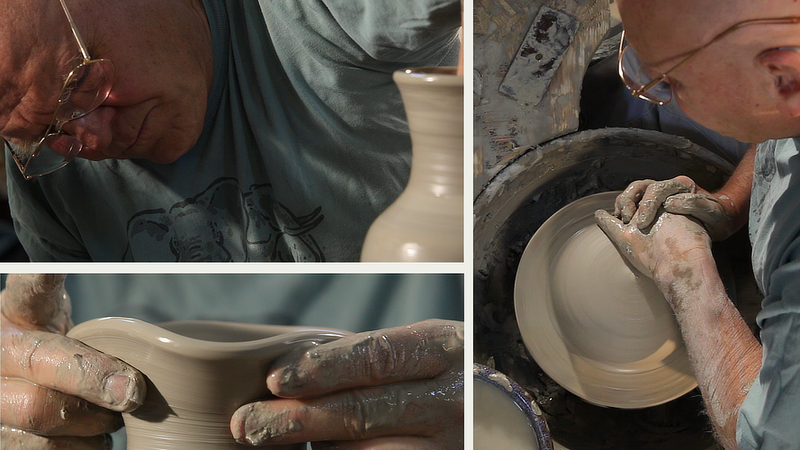 This video shows the screen tests in which two local potters auditioned for a proposed instructional (or “how-to”) series on the practical ceramic arts. Jim Kozlowski, a master of pottery and the owner of the Wizard of Clay, has been making pots, cups, vases, and other real-world and artistic works in clay for over half a century. Mitch Messina, a sculptor of note who exhibits nationally, is professor of art at a local college. Rich Hartmann teaches chemistry at the same school. He briefly describes how raku glazes work. How well did they do on their screen tests? Bear in mind that this was, as far as we know, Jim and Mitch’s first time in front of the camera, and they neither rehearsed nor read from scripts or prompters. Had the television series gone into production, both would have done very well.